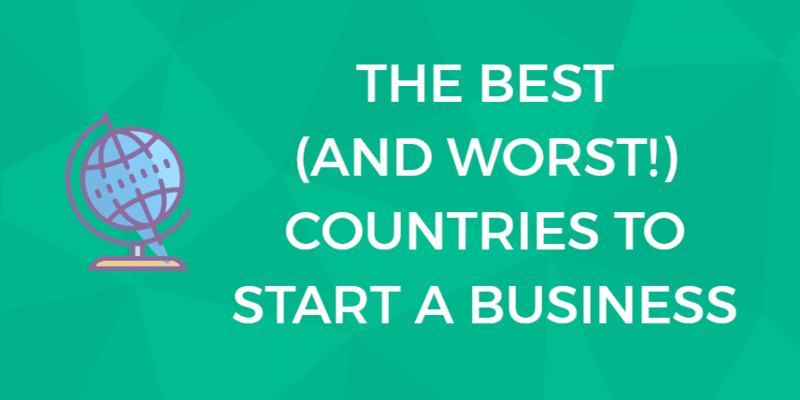 Our small business and startup marketing tool reviews are powered by expert opinions. Find out what our reviewers recommend. There’s no one size fits all digital marketing tool. They all focus on making marketing easier for your business, but in many different ways. It’s important that you find a tool that is designed for the specific marketing channels and tactics that you use. The summaries below will help you quickly identify tools that have the features that will benefit your small business, startup, or nonprofit. HubSpot is a set of essential software tools that help businesses grow through inbound marketing. It can help your small business get organized, capture qualified leads, identify which prospects are likely to buy, and increase sales. 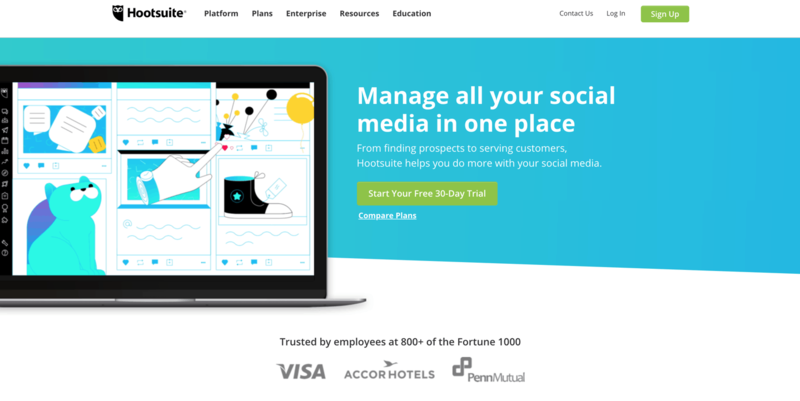 Hootsuite is a complete social media management tools. You can connect accounts from all the major social media platforms. Features include scheduling posts, content curation, analytics, and team management. 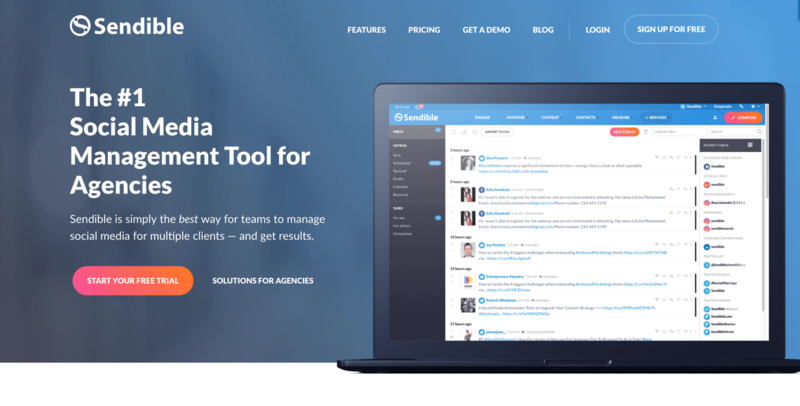 Sendible was designed for agencies needing to manage multiple clients as a team from one dashboard. It lets you schedule posts, monitor results, and generate professional looking reports. 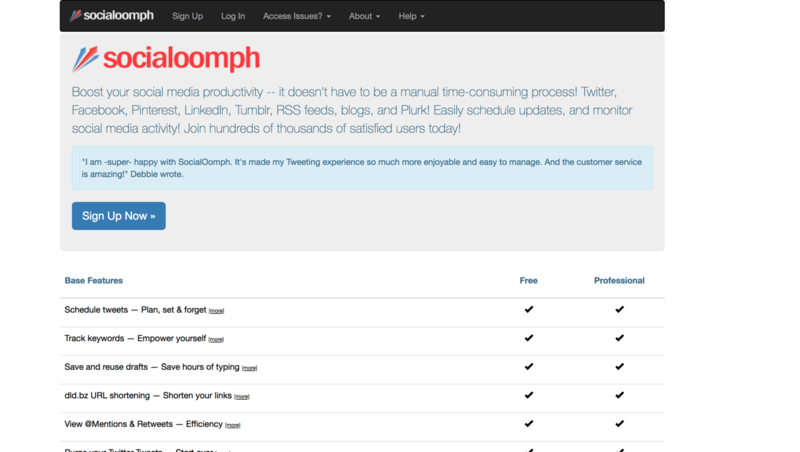 Social Oomph is primarily designed to schedule posts on Twitter. However, it can also be used to schedule posts on other networks like Facebook, Pinterest, and LinkedIn. 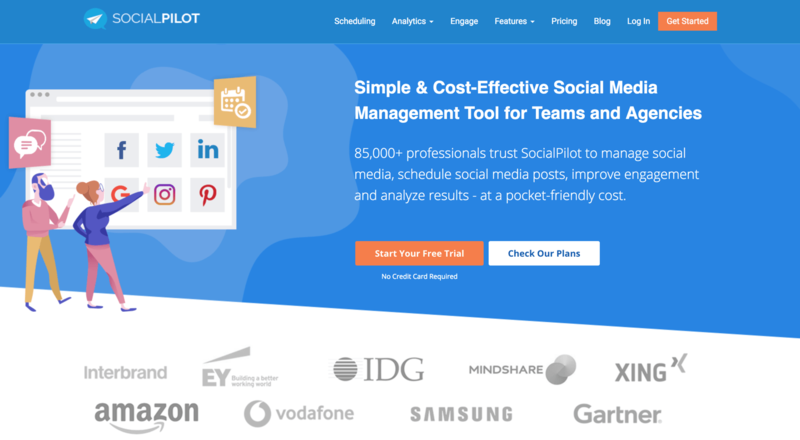 SocialPilot is an all-in-one social media management tool on a budget. It’s built for social media marketers and agencies to manage their accounts. 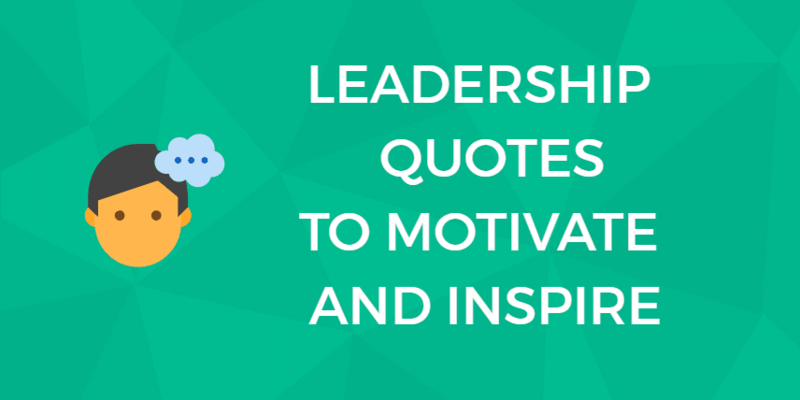 You can work as a team to schedule posts in bulk, curate content, and analyze the results. 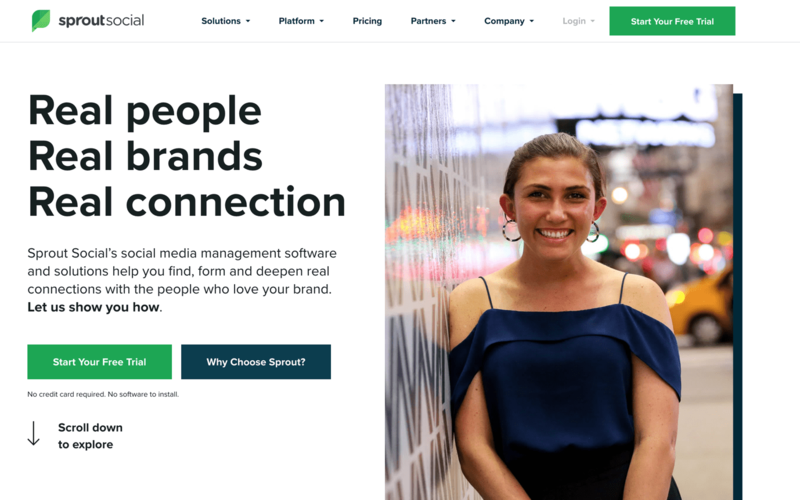 Sprout Social is best known for its visual user interface. It’s easy to see engagement or tracking results at a glance through charts and tables. You can schedule posts and reply to them from within the tool. 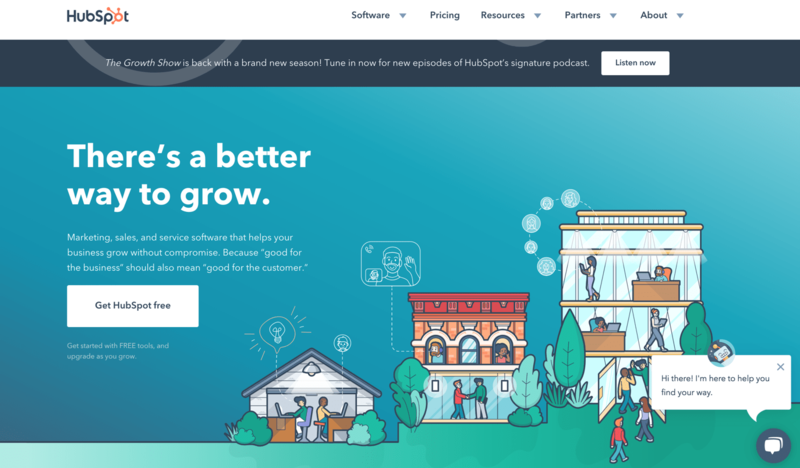 Unbounce is a user-friendly landing page builder, allowing you to create high-conversion landing pages without a single line of code. The platform offers a drag-and-drop builder with ready-to-go templates. Many aspects of marketing are slow, repetitive, or inconvenient. These are necessary tasks that take several hours a week. If your business relies heavily on active marketing, you may even need to hire multiple employees or freelancers to help. Marketing tools aim to make those annoying tasks easier, and almost always significantly reduce the amount of time needed to complete them. Some do this through automation, while others let you do tasks manually but in bulk. Less time spent on the boring parts of marketing, freeing up your time for the enjoyable parts. More convenient. For example, no more having to log in at a specific time just to post something. Better results through advanced analytics and optimization. More reliable, as it’s less likely that you forget to do a task when it’s planned and tracked in a tool. The more time you currently spend on marketing, the more of a benefit you will get from using tools. Some tools cover marketing in one or more area. Tools from one category can also be used together with tools from another. Many tools are created with the purpose of making email marketing simpler or more effective. 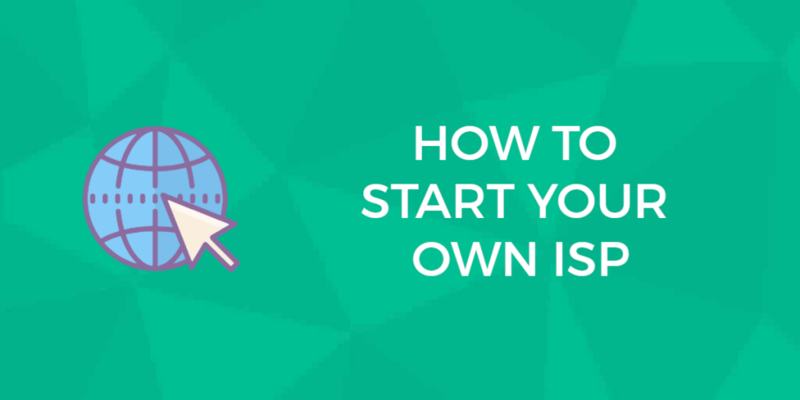 Some are basic, letting you add users to an email list and send out basic emails to them. Others are more advanced (and more expensive). They let you create highly targeted segments based on behavior, which can be used to improve conversion rates. They often have advanced features like split testing available. Browse our email marketing tool reviews. Content marketing covers a lot of different marketing activities. There’s a lot of overlap with email and social media marketing. These include tools that help you analyze traffic and behavior on your website. Other tools focus on helping you distribute your content more effectively, usually at scale. SEO tools are also often included in the umbrella of content marketing tools. If you find that you’re spending too much time on the same marketing tasks every week, there’s likely a tool or two that can save you time and effort. The tools mentioned on this page are some of the best that exist, if any of them are relevant to your marketing efforts, give them a try. Stick with them past the initial learning curve and you’ll typically get great results. Previous: WordPress Hosting: You Might Have 99 Problems, but Finding the Right WordPress Host Shouldn’t Be One of Them. Next: SocialOomph: Right Social Media Tool for Your Small Business?